Via ferrata Sandro Pertini / Stevia Klettersteig 2200 m 7216 ft.
Hut in 9 hike reports, 5 photo(s). Pass in 11 hike reports, 8 photo(s). Hut in 27 hike reports, 4 photo(s). Pass in 13 hike reports. Via ferrata in 5 hike reports. Peak in 18 hike reports, 14 photo(s). 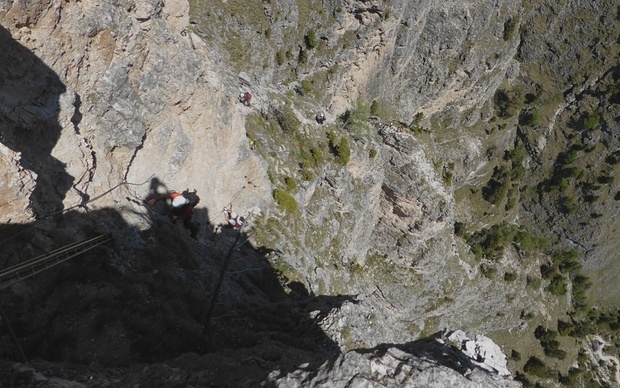 Via ferrata in 6 hike reports. Pass in 32 hike reports. Pass in 11 hike reports, 9 photo(s).